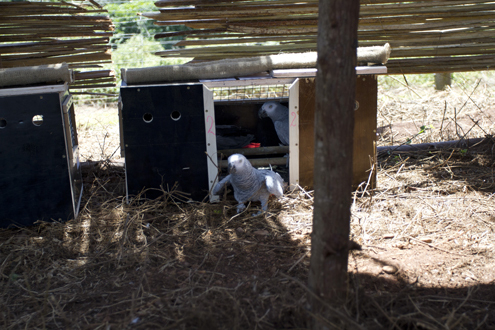 The following photographs depict the release of 17 Grey Parrots (Psittacus erithacus) this week into Ngamba Chimpanzee Sanctuary in Uganda, ending their harrowing three-year journey in the international illegal wildlife trade. 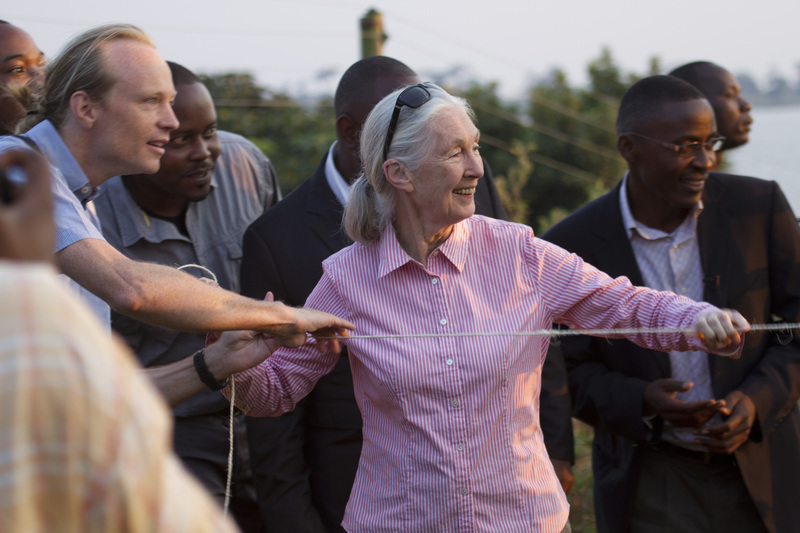 Caption: Dr. Jane Goodall, joined by WPT Biologist Dr. Rowan Martin and representatives from the Uganda Wildlife Education Center, the Uganda Wildlife Authority, and the Ngamba Chimpanzee Sanctuary, setting free the first group of Grey Parrots. 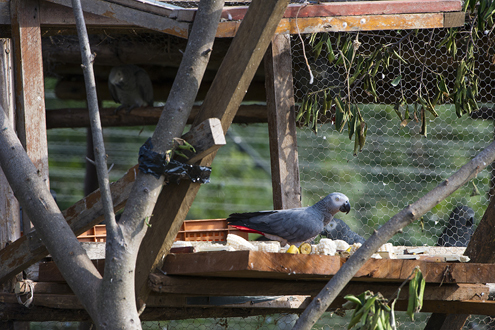 Caption: The first Grey Parrot discovers the open hatch. Caption: First steps to freedom. 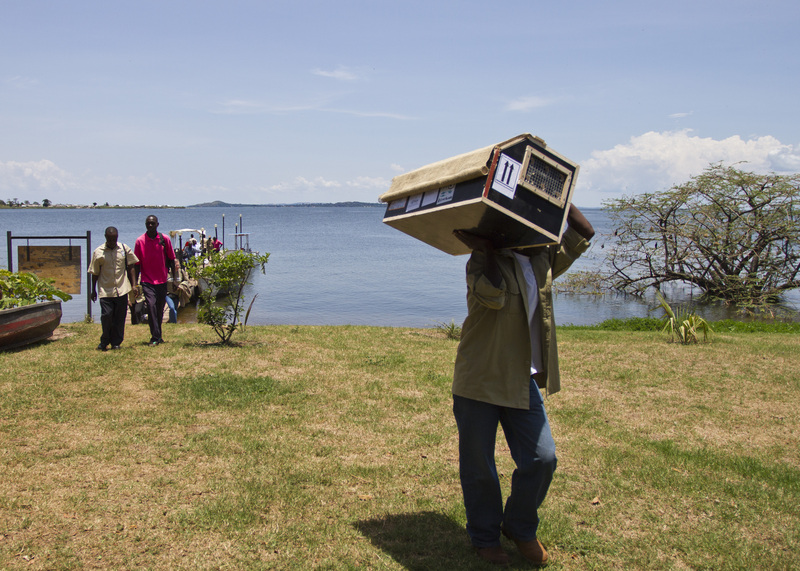 Caption: Success! 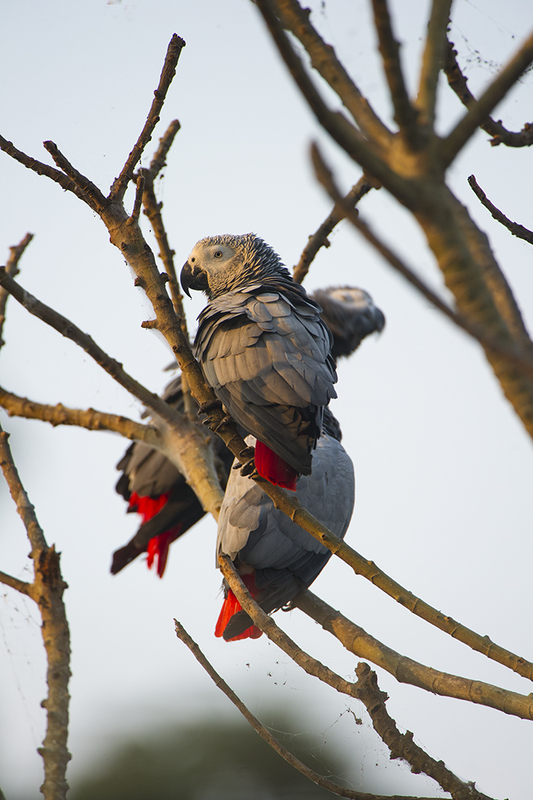 Safe to Fly Free again! 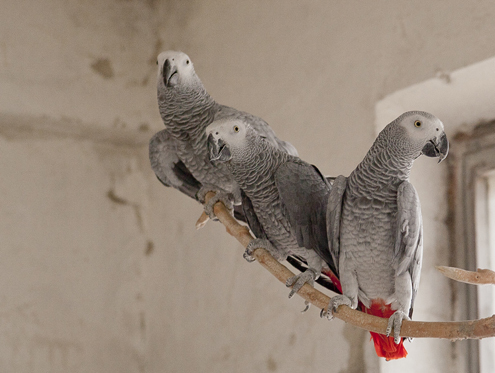 The following photographs depict the return of parrots confiscated in Bulgaria being returned to Africa for rehabilitation, and preparation for release back to the wild. 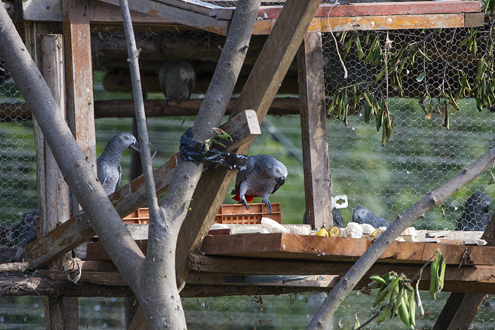 at the Sofia Zoo, Bulgaria before their departure. 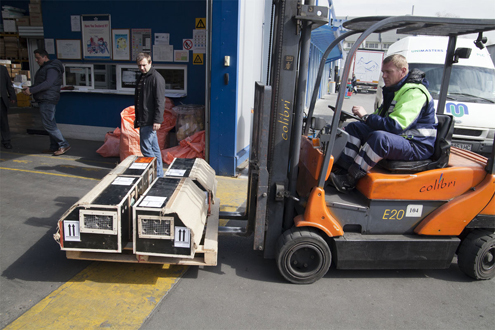 Caption: At the Sofia airport, from left: Dr. Gino Conzo, Elitsa Ivanova (Bulgarian Biodiversity Foundation), Svilen Stamatov (Bulgarian Animal Transport), Irina Sahatchieva (Sofia Zoo), Stefan Avramov (Bulgarian Biodiversity Foundation). 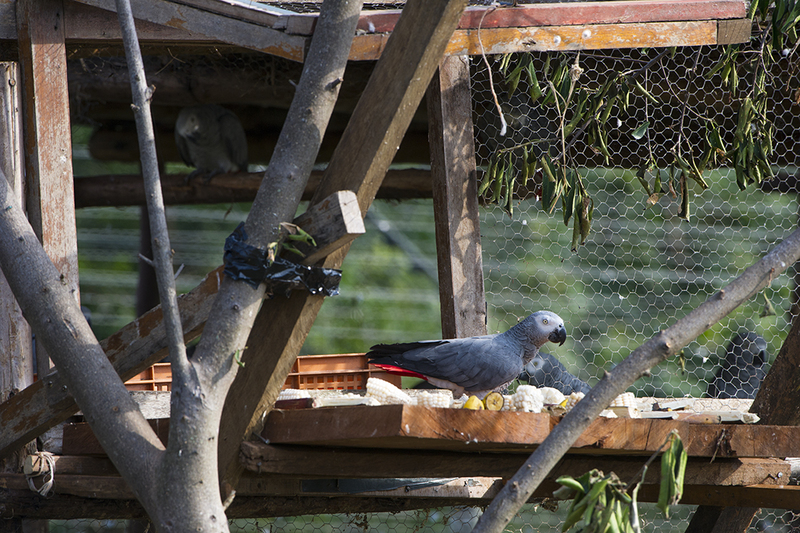 Caption: Dr. Gino Conzo (right) and Svilen Stamatov, Bulgarian Animal Transport, checking the parrots in one of the travel containers. Caption: The parrot's travel containers being transported to the airplane. Caption: The arrival of the Grey Parrots to Uganda. 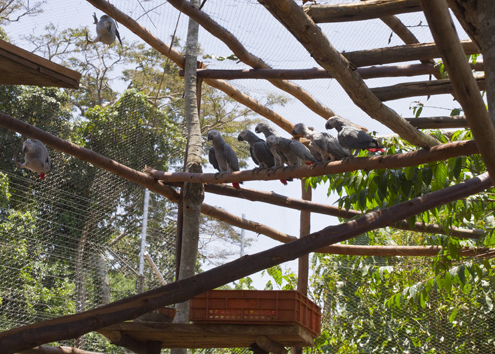 Caption: Dr. Joshua Rukundo welcomes the birds at the Ngamba Island Chimpanzee Sanctuary. Caption: Containers are opened; the bravest take the first tentative steps. 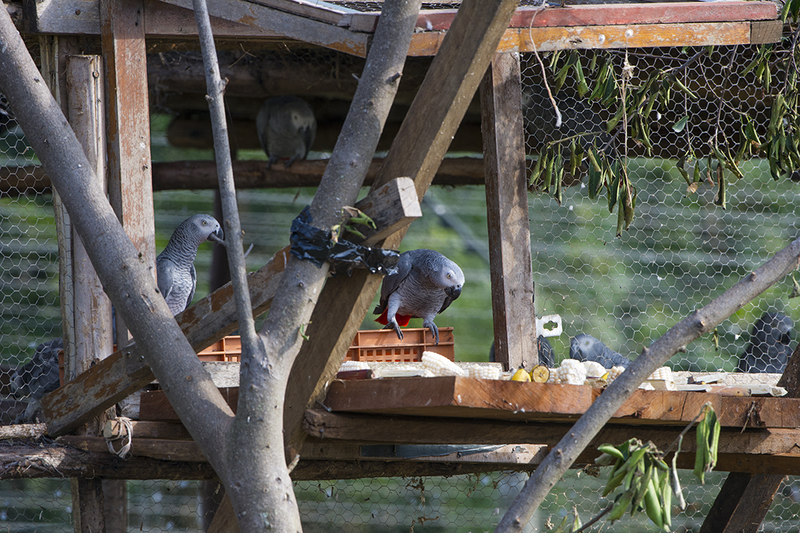 Caption: Warming to their new aviary! 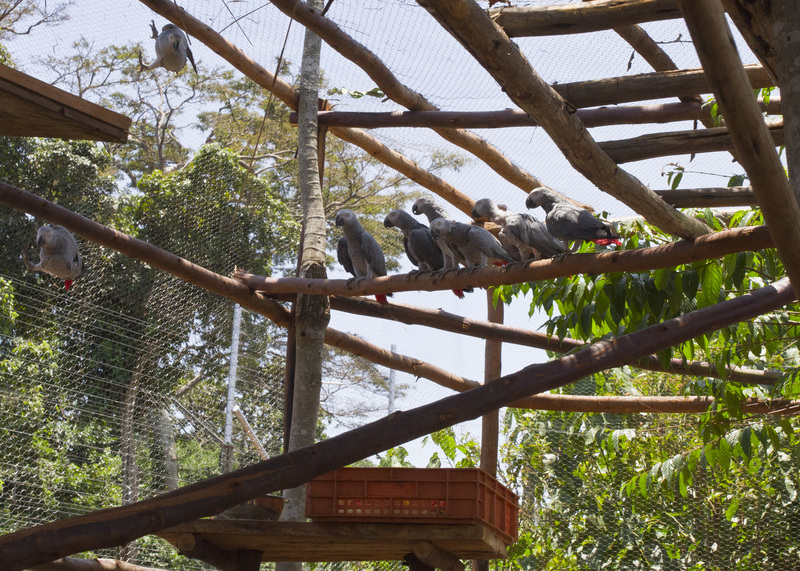 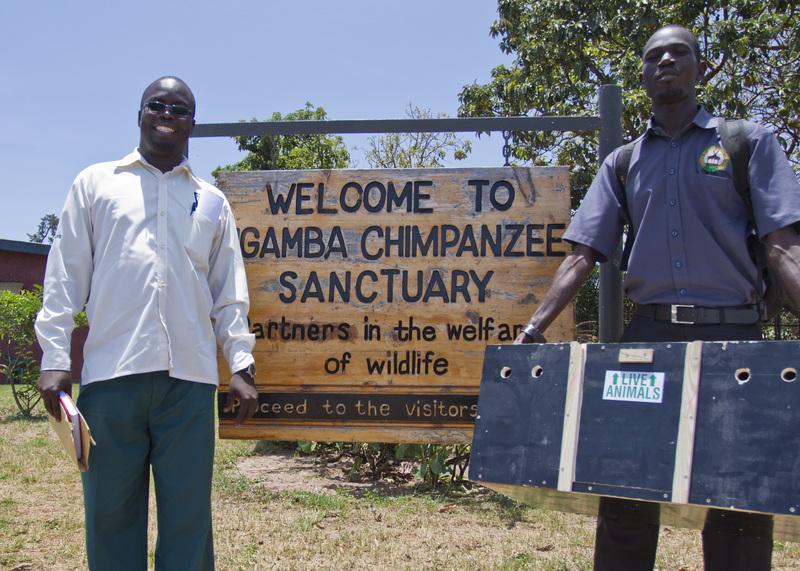 Within the first 30 minutes after release, the Greys were flying down to enjoy food prepared by Ngamba staff.